Welcome to Throwback Thursday! This is a once monthly post where I dig deep into the archives and share a blog post that you may have missed the first time around. The one thing that I love about Throwback Thursday is that it gives me the opportunity to spruce up old posts, add fresh new pictures, and fix any old embarrassing mistakes. (I hate when that happens!) I originally shared this post in May of 2010, back in the olden days when I had just discovered Pinterest. How things have changed! I updated the picture and did some editing, but the recipe is the same. 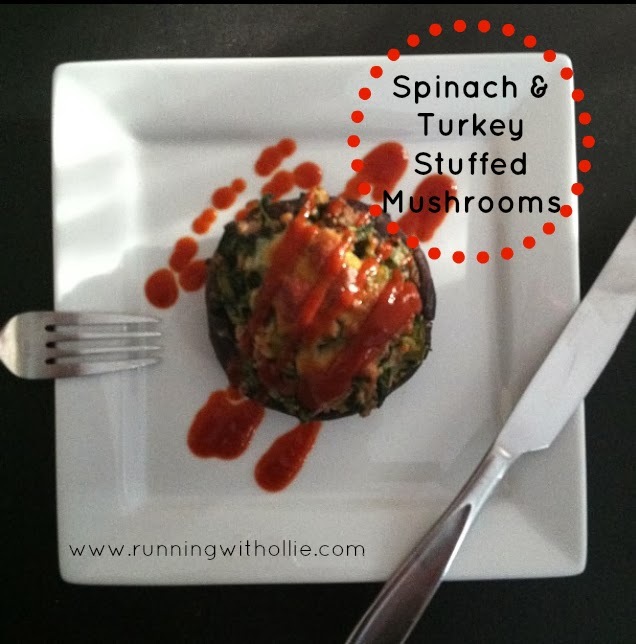 Click over and check out the only thing I really know how to cook well, Spinach and Turkey Stuffed Mushrooms. They are so healthy and delicious and we probably eat them at least once a week. I hope you will try them (and pin them) and let me know what you think! I love the Throwback Thursday idea. And I'm definitely pinning these mushrooms to try. They look so good and so healthy! yum this recipe looks awesome!! i LOVE stuffed mushrooms!